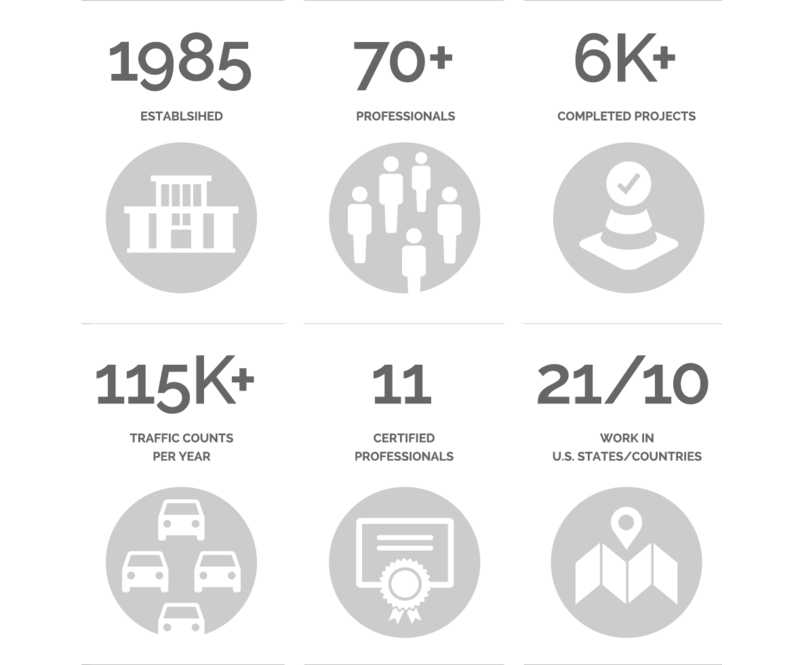 The Traffic Group (TTG) is one of the nation’s leading traffic engineering and transportation planning firms. 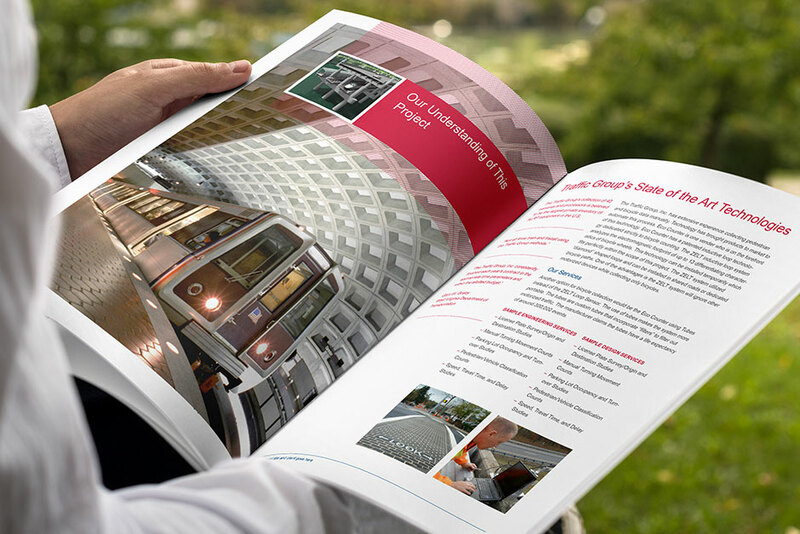 TTG charged Substance151 with refreshing its marketing collateral in order to introduce clarity and a consistent design standard that could be easily translated across all print communications from brochures and publications to project sheets, resumes and proposal templates. Just like an engineering firm must excel in even the smallest details while keeping an eye on the big picture, our design approach had to establish a design system that would be functional and constrained, as well as fresh, flexible and somewhat surprising. On the heels of the collateral redesign, TTG approached Substance151 to revamp its website. In addition to the website’s look and feel needing an update to reflect more modern design sensibilities, its structure, content and functionality needed to be rethought to better support TTG’s digital marketing strategy and website design and development best practices. And, of course, the site also needed to work seamlessly across computers, tablets and phones. Substance151 took The Traffic Group’s team through the comprehensive website redesign process: from web strategy and information architecture to design, development and WordPress CMS integration. 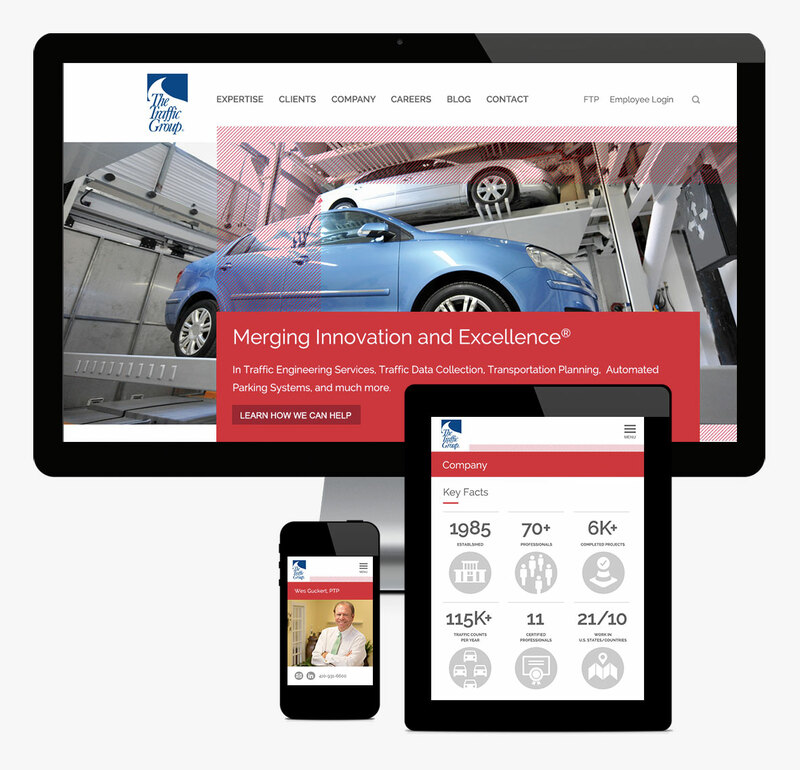 The new website, an online extension of The Traffic Group brand, clearly demonstrates the firm’s expertise, experience, service offerings and competitive differentiators and provides clear access to key information that the website visitors are looking for. 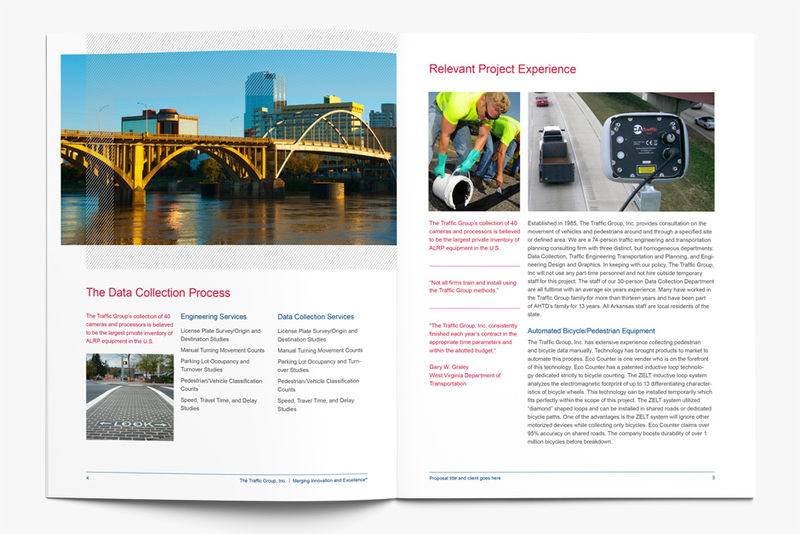 The new bold, fully responsive design enables The Traffic Group to stay tall among its competitors and exemplifies the firm’s innovative approach and its leading position as the largest firm in the Mid-Atlantic that specializes in all traffic engineering disciplines, including robotic parking. With improved SEO and clear, specific calls to action throughout the website, TTG has been able to generate qualified leads, some of which converted into projects. The TTG blog has also helped TTG to secure national media coverage. A special thank you to the amazing team at Substance151 for an incredible job!